The language translation services we offer are comprehensive services that cover just about any industry. We aim to provide our clients with accurate, fast, yet affordable translations so that they can benefit from our highly skilled team of professional translators. When it comes to the very delicate task of any type of linguistic services, it is important not to have anything lost during the process. That is why we use 3 translators with each project: one translates, the second edits the translation and the last one proofreads the result. Our focus is to ensure anything and everything pertaining to the translating exercise is carried out with the highest competency. 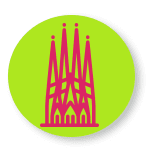 Our large team of carefully picked professional translators (including Spanish translators), linguists, editors and proofreaders are all dedicated to giving each client a 100% accurate translation. We are completely adapt to translating in any language and our services are available around the clock. No matter what time zone you are in, we will be there to cater to your every need. On top of providing accurate output, we also have other benefits our clients are enjoying. Those include fast turnaround for any project, affordable prices (lowest in the industry), and easy, 24/7 communication with our management team to assist in times of need. If you have a document that you don’t understand because of the language barrier, worry no more! You have come to the right place! Our team of professional translators can’t wait to meet you and help you with efficient document translation services. We are offering quality translations for any kind of document, regardless of its type because we are a team of professionals with vast knowledge in different domains. Every day we are striving to learn more and more and become our best possible selves. Your document is in good hands with us, and it will be returned to you in the shortest amount of time, perfectly translated. The language services we offer include certified translation for USA in order to help you with the paperwork and support your initiatives. When it comes to translating birth, marriage and divorce certificates, or any other personal documents, the translation needs to be carried out according to the USCIS rules. We do that, and we have an 100% acceptance for our translations at the Immigration Office. We deliver in 24 hours or less, we sport the lowest prices, and we guarantee the translation will be accepted. 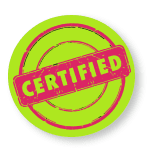 You can get access to certified translation very quickly and benefit from the most accurate and comprehensive translation. 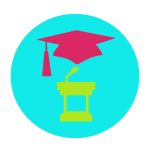 When a person comes with academic content like papers, dissertations, case studies, scientific papers and syllabus among many other forms of academic content, we take extra care when assigning a translator. In these translations, the content has to be kept as closely literal as possible and meaning and placement of every word have great significance. We place great importance on choosing the translators who will conduct academic translation. 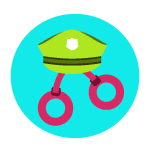 We review the academic content with the translator that we choose and we make sure that the translator is well versed in the type of content before we assign him to the job. In medical translation, a person is expected to conduct translation of medical files, medical brochures and details descriptions of medical procedures and medicine. 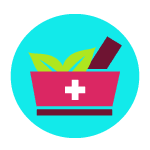 Since such translations will have an effect on the quality of life for your patients, we take extra care in choosing the translators and we pick the ones with previous background in medicine like doctors and nurses, therefore providing high quality output. Financial and business translations are usually marketing, business communication, accounting documents and other finance and trading related content that needs to be translated. These documents are exceptionally specific and we only assign the best translators, editors and proofreaders, specialized in this niche in order to be able to translate them completely and successfully. Since we are the best in what we do, we are offering clients the most accurate DTP services. With our expertise in software management, we assure our clients of only the best. 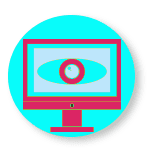 Quark Express, Microsoft Publisher, Adobe PageMaker, FrameMaker and Dreamweaver are just some of the software programs our team works with on a daily basis, and we are able to create beautiful, ready-to-publish materials. 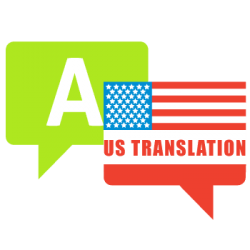 In legal translations, USA Translate gets case files, court transcriptions, legal rulings, constitutions and many other forms of legal content that needs to be translated into another language. Most translators develop a specialty for legal translation over the years. The translators who are assigned to provide legal translation have a background in law; they are either lawyers themselves or they have worked in legal offices before. Those who can conduct legal translations are incredibly sought after because all legal translations inevitably goes into either a court or a law office. And both of these institutions are the highest judges of quality and merit. They do not compromise on quality for a moment. A translator who is recommended by legal offices is the star of the show. Website translation is the most common way to reach more countries or to localize to a specific market. 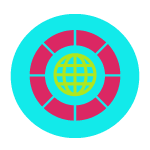 When a company decides to target a foreign market, they translate their website into the target language, including blog posts and all other content that is on the website. 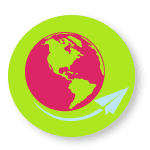 Web content can be about any and all topics under the sun and the blog posts are usually a challenging task for translators because they are written in an informal style and are focused on the initial target audience. When you translate the content for another target market; the content of the articles may become obsolete. Similarly, taglines and product descriptions need to be rewritten in order to perfectly fit the target audience. When a lot of content has to be translated into another language for the target audience and then has to be made attractive to the audience, the process is called localization. In these cases, the client is much more focused on the basic message of the content and how to get it understood by the local audience rather than the actual content. Meaning they do not have a problem with the content evolving for their target audience as long as the target audience likes the content that they are delivered. This is called localization because they are focused on localizing the content and making it more connected with the audience rather than keeping the content’s literal meaning. These projects are fun to work on and you will decide with the client how to get the translation done. If Spanish wasn’t your favorite language in school and so you preferred to focus on other objects, you don’t have to regret it any more as we translate Spanish to English just as easy as we translate English into Spanish. Our linguistic services include Spanish translations, done by our highly skilled translators. 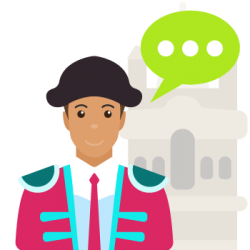 We are proficient in Spanish, and we can help you with any Spanish document translation you need, so that you don’t have to be kept own by the language barrier any more. We also provide certified translations from Spanish into English for immigration in the US, and we have the lowest rates in Texas. 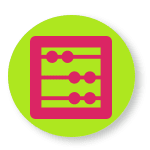 This word count tool will help you evaluate your document the financial costs of translating it. You can see exactly how many words you document has. This will help you choose the linguistic services that suit you the most. By choosing our language translation services, you are choosing perfection in its purest form. The right translator is not merely somebody who knows two languages. It is somebody who is proficient in two languages and also has knowledge about the domain of the client. He or she has the right insights and can tame the language and surpass the barrier, ensuring you a smooth road towards your goal. In the past few years, translation services in US have witnessed the biggest rise in their demand. Immigration, business expansion and localization requirements have increased drastically and this is why translation services are required more than ever now. But is abundance a synonym for quality? It’s definitely not. It is very important that you understand what it really takes to make the world’s best translation agency. It’s not just translators and a variety of services, it’s more than that. 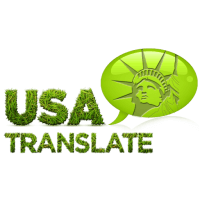 At USA Translate, we aspire to be that one company which works in the best interest of its clients. For us, your business and marketing is as important to us as it is to you. If your immigration translations are something on which your future depends, we want to make sure that you get it with accuracy. If your medical reports need to be translated by a professional, USA Translate will stay with you until you get your medical reports translated in accordance with the original text. 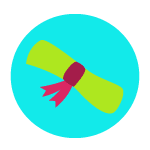 From your documents to diplomas and degrees, we guarantee you that we are the best option for you. Not only are we a successful name in the translation services in US, but also globally, we have achieved the true recognition that anyone can hope for. We, therefore, invite you to browse our website, discover exactly what we can do for you and contact us in order to discuss your needs or to ask for a free quote. If you are a business ready to enter the global market and unlock limitless possibilities by over passing the language barrier, you can do it with our language translation services. We are offering you the key to a dynamic, multicultural word with countless possibilities and opportunities. Take the key and let us assist you along the road. If you are an individual looking to immigrate or study in the United States, have your documents translated with us an enjoy the benefits in using a fast, customer-oriented and affordable service. Get our free, 5-minute quote!